Click this link below to get in line for Boost Elevate while you can still take advantage of the early adopter discounts! We are excited to partner with Boost on the launch of Boost Elevate. We believe the platform will be extremly beneficial to all retailers and we are looking forward to high adoption from our partners. 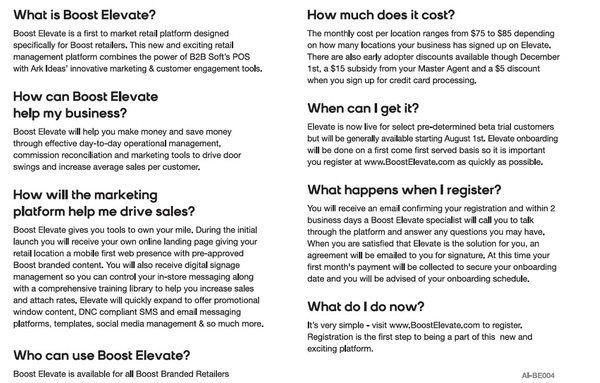 Here are a few common questions on Boost Elevate and why we feel it is best solution for you as a retailer.